I got to sit down with Donna Sheridan to discuss all things healthcare! 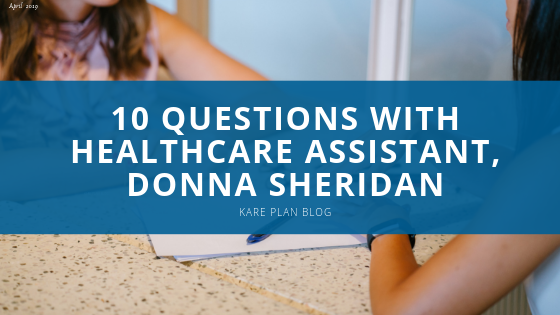 Within my time with her, Donna answered 10 of my questions from her point of view of being a healthcare assistant for almost 10 years. 1) When did you begin your career as a healthcare assistant and why? I became a healthcare assistant 9 years ago. My grandmother sadly suffered with Alzheimer’s, I was her carer at home and when she passed away, I thought of how much I liked that work and how I would love to help others as best as I can and I knew that the homecare industry would be the right place for me. 2) How long have you been with Kare Plan? I have been with Kare Plan for 4 years. 3) What made you choose Kare Plan? During my time with Private homecare, a lot of my clients went into residential homes or passed away and they were not as quick to put new clients in place and I was quite anxious over that but I had seen an advertisement on Social Media looking for healthcare assistants and I rang them up and was given an interview date straight away. I had my interview with one of the directors of the company, Emma Dandy who explained everything about the positions available and gave me great information about the company itself and the career advancement opportunities. I soon became part of the double-up team reporting to Emma Dandy herself. 4) What was it like for you at the start? At the very start, I found it hard to find my feet. When I started with Private Homecare at the start, I was dealing with a lot of Alzheimer clients and it brought a lot of emotion and pain to the front as I had just lost my grandmother but once I got into the routine of primarily looking after each client as oppose to bringing myself back through the pain, I was fine. 5) Did you do any training or complete any courses prior to becoming a healthcare assistant? When I started at the beginning, I had no training at all but when the Fetac / QQI came in, I did my training with Kare Plan Training School and completed my Care of the older person module and Care Skills module which are the two mandatory modules required to be a healthcare assistant. These courses were very helpful because you learn about things that you have never heard of before such as best practices and bad habits. Especially since I had no training prior to becoming a healthcare assistant, there were a lot of different things I did not know. Especially when it comes to health & safety, I would not have paid as much attention to this but on the courses, you learn just how important it is always to mind your surroundings and be alert for any hazards. I really am enjoying the courses so much so that I am currently near the end of completing all modules to achieve my full QQI Level 5 award to graduate in June 2019. 6) What is the double-up team? The double-up team would cater to those of high dependency clients who require the use of a hoist which in turn would require two healthcare assistants to assist. 7) What are some of the best factors about being a healthcare assistant? There are so many amazing factors about being a healthcare assistant. One of those would be when you go into a client each day and you feel that warmth when they thank you. Some of my own clients are non-verbal but they always give me a smile or try to rub my face and some people might see this as something small, but it is something that stays with you for the rest of the day. To know at the end of the day you made people smile is indescribable feeling. 8) What are some of the difficulty’s healthcare assistants can face? One of the difficulties healthcare assistants face is the views some people have of what a healthcare is. A lot of people do not realise that we are actually a lot than they think as they probably believe we just go into people’s homes and just change their clothing but we do more than that, we are their hairdresser, their makeup artist, their cook, their cleaner, their confidant where they can confide in you. All in all, we are there making sure that people’s loved ones are looked after. Another difficult aspect is not bringing work home with you. It can be very difficult leaving client’s at the end of the day because you know that they will be on their own for the rest of the day as they live alone and you wish you could just take the client home with you for a few hours but unfortunately, you can’t actually do that. Once you leave the house, it is like leaving your job and you have to try and disconnect yourself which is incredibly hard especially when you have built a relationship with them. The next big difficulty is something we can all relate to and it is when you see a client suffering or when the pass away. It is painful and I found it quite hard to deal with at the beginning, but you know at the end of the day that within the time you knew them, you were able to make their days easier. 9) How do you prevent caregiver burnout? Before I went onto the double up team, I would work Monday – Friday and have the weekend off. My weekends were about making up for what I was unable to get to during the week and spending time with my children especially on the Saturday. Sundays would be my day to spend with me to get myself ready for the week ahead. It really was a day for me to chill out completely. On the double up team, I work 3 days off and 4 days on which now allows me to recharge my batteries and gives me plenty more freedom in terms of sorting out my own house work and run all the errands I need to with the peace of mind that you also have enough time to do all of that while preparing for the next few days of work. Caregiver burnout usually happens when there is no proper routine and you are not going by a system that suits you and your lifestyle. You always need to have that work/life balance on point because if one side suffers, it is only a matter of time that the other side will also suffer too. I am someone who would be quite active. For instance, if I finish work at 2pm and I do not have another call until 6pm, I don’t go home and sit there for a few hours. I like to keep going but at my own pace because those gaps allow me to take my time to get what I can done. Keeping fit can be very difficult especially when you have families and responsibilities, I for one really enjoyed going for walks. I found it mentally stimulating when I would be walking and it was a way to clear my mind but because I am so busy these days, it has been very difficult to try and get out for that walk. 10) What advice would you give someone who is looking at becoming a healthcare assistant? If you are looking to become a healthcare assistant, make sure it is not for the money. This role is not for those just in it for money, it is more than that. Make sure you come into this role with an open heart and an open mind and really ask yourself is this the right kind of job for you. You have to be willing to take the good with the bad because you could go into a client who is in great form today but come tomorrow it could be the absolute opposite and you need to be ready for those sudden changes and be able to manage it. If you cannot guarantee that you can be there on the times and days you agreed without any issue, then this role is not for you. You must be dedicated. Your company, your clients and their families are relying on you to be there when you need to be there and give each day 100%. This is a very active role where you need to mentally and physically be there for your clients. This job is not just about working for your client/s, but it is also about working as a team with your client too. You are promoting independence and that requires you to meet your client halfway. Patience is key. Be kind to yourself in this role too because I believe a lot of us who are working in this role don’t always see the difference we make in peoples lives and it can be hard trying to avoid any negativity thrown at you, especially at the beginning, whether it be by people you know, clients, their families or even your own family but it is so important that you remember that your job is changing lives each day and you make life easier for so many people. Thank you so much to Donna Sheridan for taking time to answer all of these questions and give an insight into the life of a healthcare assistant. When it comes to keeping healthy and fit, living a mentally active life is as important as regular physical exercise. Although it has been overlooked, keeping your brain healthy and young is just as vital as keeping your heart healthy. There are many ways to ensure that you can enhance your brain health and you can do this with various activities however, the activities with the most impact are those that require you to work beyond what is easy and comfortable. Playing cards and watching a documentary on Netflix more than likely will not be enough. If it’s too easy, it’s not helping you. A higher level of education is associated with better mental functioning in old age. Experts think that advanced education may help keep memory strong by getting a person into the habit of being mentally active. Challenging your brain with mental exercise is believed to activate processes that help maintain individual brain cells and stimulate communication among them. Many people have jobs that keep them mentally active, but pursuing a hobby, learning a new skill, or volunteering for a project at work that involves a skill you don't usually use can function the same way and help improve memory. The more senses you use in learning something, the more of your brain that will be involved in retaining the memory. 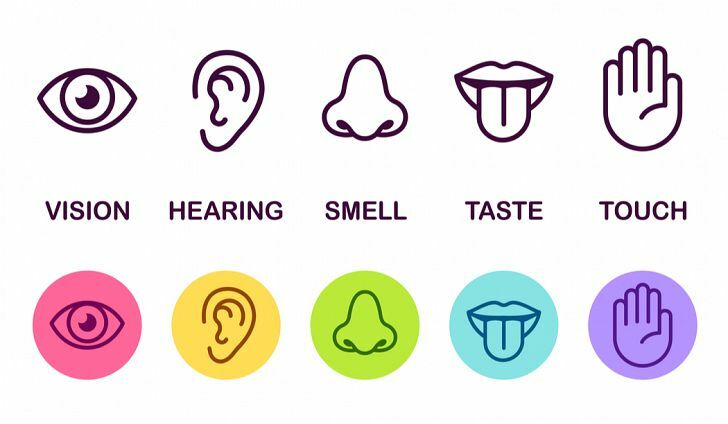 In one study, adults were shown a series of emotionally neutral images, each presented along with a smell. They were not asked to remember what they saw. Later, they were shown a set of images, this time without odors, and asked to indicate which they'd seen before. They had excellent recall for all odor-paired pictures, and especially for those associated with pleasant smells. Brain imaging indicated that the piriform cortex, the main odor-processing region of the brain, became active when people saw objects originally paired with odors, even though the smells were no longer present and the subjects hadn't tried to remember them. So, challenge all your senses as you venture into the unfamiliar. Research shows that using your muscles also helps your mind. Exercise also spurs the development of new nerve cells and increases the connections between brain cells (synapses). This results in brains that are more efficient, plastic, and adaptive, which translates into better performance in aging animals. Exercise also lowers blood pressure, improves cholesterol levels, helps blood sugar balance and reduces mental stress, all of which can help your brain as well as your heart. People with strong social ties to friends, family, and their community have been shown to be happier and live longer than people without those ties. Furthermore, people who are lacking social connections are at a higher risk for developing depression, anxiety, and cognitive decline over time. If you feel like you may already struggle with depression, anxiety, or another mental health condition, make it a priority to seek help. Some studies have found links between mental health and brain health, so it’s important to make your mental health a priority too. The brain requires certain nutrients to stay healthy. Omega-3 fatty acids, for example, help build and repair brain cells, and antioxidants reduce cellular stress and inflammation, which are linked to brain aging and neurodegenerative disorders, such as Alzheimer's disease. The brain does not shut off when we are asleep. There is a lot of work going on while you sleep and much of it involves consolidating the learning that took place during the day. Psychologists have long understood that our dreams, for example, are really just a reflection of all the work our brains are doing trying to make sense of all the information we have been taking in but have not yet fully interpreted and made sense of. So, if this is true, you really can solve problems and make of sense of things by “sleeping on it.” On the other hand, if you do not sleep properly, you can lose the benefit of your learning experiences. You also will not learn as well the following day. Adults need between seven and nine hours of sleep each night to benefit fully and perform at their cognitive peak each day. However, this method of keeping your mind sharp only makes number seven because there are now some scientific doubts about the importance of what is known as “sleep consolidation”. Over the last few years, care at home has become quite a popular option for families in Ireland. When you make the decision for homecare and hire someone to help your loved one, you should have the confidence of knowing your choice was the right one. 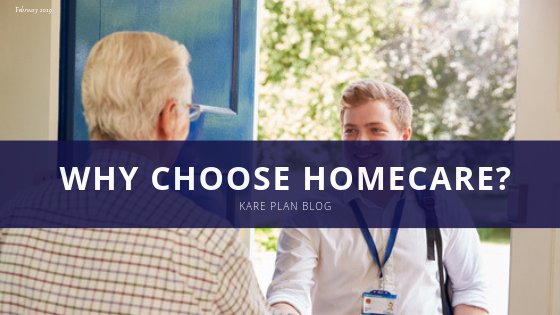 If you are looking into homecare for your loved one/s, there are a few things to take into consideration that can help you make the right choice for you and your family. With home care, clients are encouraged to be independent. With safety being a priority, there is the option of inputting hand bars and anti-slip rugs into the home, this gives each individual the freedom to move around in the comfort of their own home while ensuring their safety. Being cared for at home has advantages for families as it gives them the freedom to visit as regularly as they would like as there are open visiting hours 24/7. Should there be any illnesses with the client, the families have the liberty of stepping in and feelings more in control of the situation. Having access to the family is also quite valuable and beneficial for the client as having family close can keep their spirits high and boost their mood. It is usually the same carers that deliver the care to clients to carry out daily tasks and helps each client feel more comfortable. This way the carers are aware the kind of care being given and the care required too. There is less of a risk of infection as one-on-one care is guaranteed with home care. Each client receives full attention when being cared for which means that your loved one’s needs will be met with a fast response and without delay. The financial aspect of finding the right care can be daunting to say the least but with home care, you can have a care package designed for your loved one at a price that suits you and your family. In Ireland, home care is a lot cheaper than a nursing home and this gives your loved one a peace of mind in case they are concerned about any financial burden put on their families. At Kare Plan, we are dedicated to supporting our clients and their families. These decisions can be difficult to make but our client care managers would be more than happy to discuss this with you and help you make the best choice. To find out more please email info@kareplan.ie or alternatively you can call us on 01 8511411. Whether you are thinking of a career change or have just left school / college, there are many reasons to become a healthcare assistant. (Read our blog on Work Life Balance). In order to be a healthcare assistant, you need to be passionate about the job. If you naturally have a caring and considerate personality and you are concerned about the wellbeing of others, you are likely to do well in a caring role. If you truly want to make a difference in people’s lives this will give you the steady foundation for your future career. Sick of travelling long distances for work? Being a healthcare assistant gives you the opportunity to voice which areas work best for you to travel to. Whether it be close to your home or a 10-minute drive down the road, you decide. This strikes out any stress of commuting to work and also cuts any travel expenses too. You will get to meet those around your area and familiarise yourself with new neighbours. As mentioned above, being a healthcare assistant requires the right personality which means that being part of the large community of healthcare assistants, you will get to surround yourself with people with the same values as you too. This allows you to be even more active in the community. Knowing that you are making a positive difference in someone’s life is the reward for being an excellent carer. You are encouraging and enabling individuals by supporting them to live in the comfort of their own homes. By promoting independence is an extremely rewarding experience. Being a healthcare assistant is hard work, you will be confronted with the harsh realities of people struggling, people with all abilities and overcoming illness. However, it is those times that will allow you to appreciate the little things in life we all take for granted. Once you are able to provide the highest quality of support your client/s need to live day-to-day also allows you to see the results of your hard work. You will feel like you have achieved your goals each day because you will know that you provided as much support as possible and have left each home without stress. If you think being a healthcare assistant is the right job for you, get in touch with a member of our HR team by emailing hr@kareplan.ie and they will be able to help you take your next step! There is a large amount of your physical, mental, emotional and psychological health required as a healthcare assistant. As fulfilling as it can be, it can also take its toll on you and can make you put your life on hold or even put it in a grey area. Once you put your life on hold, you are allowing your work to consume you and it is not healthy. You work 8 hours a day and when you go home your remaining time should be delegated to your hobbies, families and overall wellbeing. Your mental health is key and it is important you surround yourself with aspects of your life that keep your spirits high. Your work should never be prioritised over your wellbeing. Life is all about balance and it is vital that you find that work life balance. Although it might be easier for some people, it can equally be frustrating for many of us too. So where do you start? Well, Forbes have put together 6 excellent tips below to put you on the right track. From telecommuting to programs that make work easier, technology has helped our lives in many ways. But it has also created expectations of constant accessibility. The work day never seems to end. “There are times when you should just shut your phone off and enjoy the moment,” says Robert Brooks, a professor of psychology at Harvard Medical School and co-author of The Power of Resilience: Achieving Balance, Confidence and Personal Strength in Your Life. Brooks says that phone notifications interrupt your off time and inject an undercurrent of stress in your system. So don’t text at your kid’s football game and don’t send work emails while you’re hanging out with family, Brooks advises. Make quality time true quality time. By not reacting to the updates from work, you will be developing a stronger habit of resilience. “Resilient people feel a greater sense of control over their lives,” says Brooks, while reactive people have less control and are more prone to stress. From there, it will be easier to determine what needs to be trimmed from the schedule. If email or internet surfing sends you into a time-wasting spiral, establish rules to keep you on task. That may mean turning off email notifications and replying in batches during limited times each day. If you’re mindlessly surfing Facebook or blogs when you should be getting work done, try using productivity software like Freedom, LeechBlock or RescueTime. And if you find your time being gobbled up by less constructive people, find ways to diplomatically limit these interactions. Cornered every morning by the office chatterbox? Politely excuse yourself. Drinks with the work gang the night before a busy, important day? Bow out and get a good night sleep. Focus on the people and activities that reward you the most. If you would like to find out more about work life balance, you can do so by visiting the below links. Being a caregiver can be one of the most fulfilling jobs and although it has its positives, it can also have its negatives too. It is vital that you find a balance between caring for your loved one / client and maintaining your own mental, physical and emotional health. Without finding this balance, you will be at a risk of developing what’s known as “caregiver burnout”. This can interfere not only with your ability to care for your loved one / client but it is also hazardous for your own health, raising the risk of chronic depression, hypertension, diabetes, stroke and premature death. Very often, caregivers can find themselves accustomed to the routine stress, worry and discomfort that comes with providing care for a loved one. And as a result, you may not acknowledge the warning signs of your own need for support. If you read the above and have found yourself relating to the above then it is time to take action in combating how you feel. Embrace gratitude. Make a daily gratitude list by writing down 10 things you’re grateful for. This could include anything from your family, legs to walk on or even a TV show you find entertaining. Focusing on what is good in your life as opposed to what is "going wrong with your loved one's health" helps relieve stress. Read affirmations every morning. “Starting your day with positivity kick starts your day on the right foot,” says Hershenson. Practice acceptance. Make a list of what you can control in the situation (getting enough sleep, eating well) and what you can't control (your loved one's health). Focus on what you can control to make changes where needed and try to accept the things that are out of your control. To find out more about caregiver burnout and how to combat it, take a look at the links below.